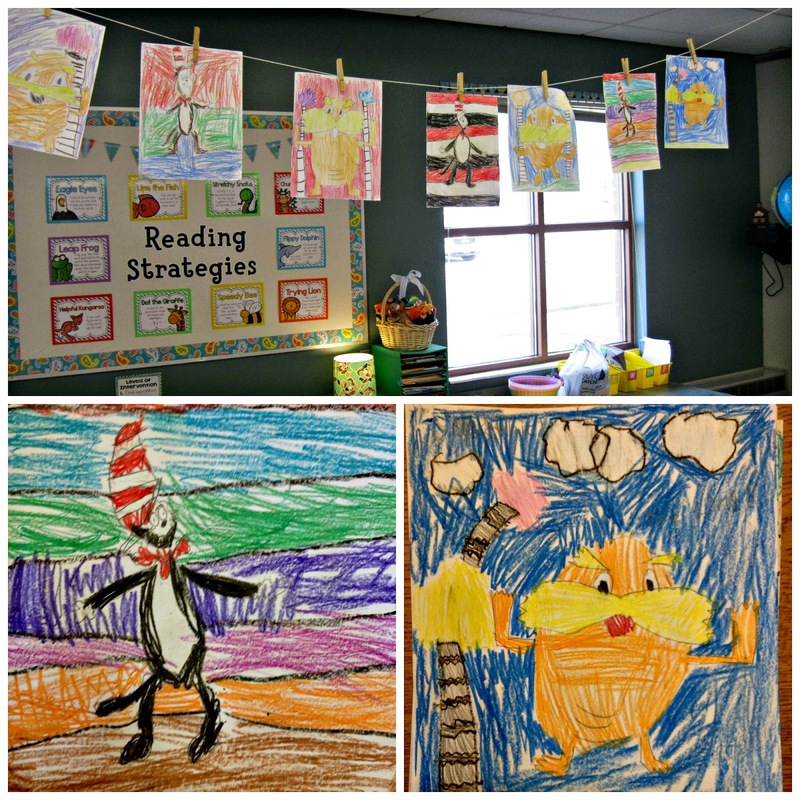 Ship Shape Elementary: Our Week of Studying with Dr. Seuss! I love Dr. Seuss! I think he was a genius of an author and I absolutely love using his books to help my students learn. 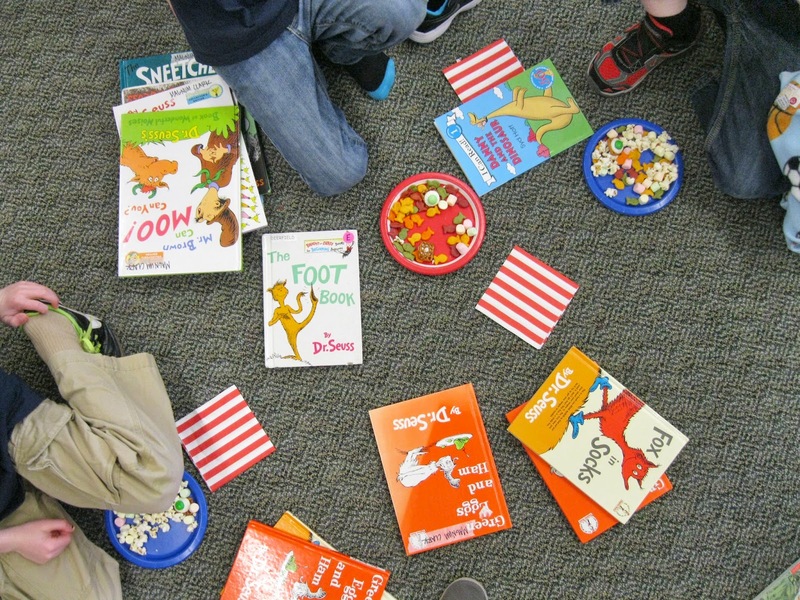 Last week I pulled out every Dr. Seuss book that I could lay my hands on and we ended up having a Seuss-themed week of learning! We began by activating our schema with a K-W-L chart. 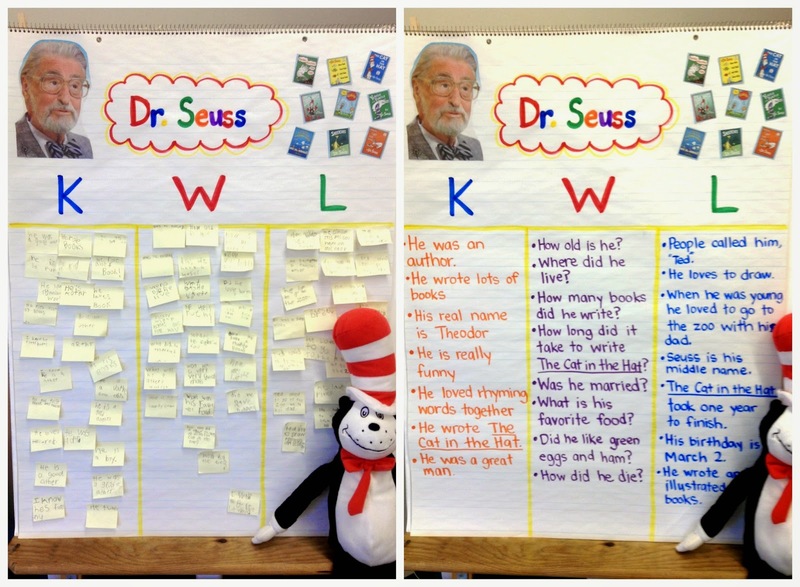 I had students write on small sticky notes something that they already know about Dr. Seuss, something they would like to know, and (a few days later) something that they had learned. We took the sticky notes and condensed them into some main ideas to display and refer to throughout the week. As an independent art center activity my kids did these cute Dr. Seuss directed drawings found here. My kids loved creating their favorite characters and I keep finding them doodled in the margins of assessments and notes to one another! 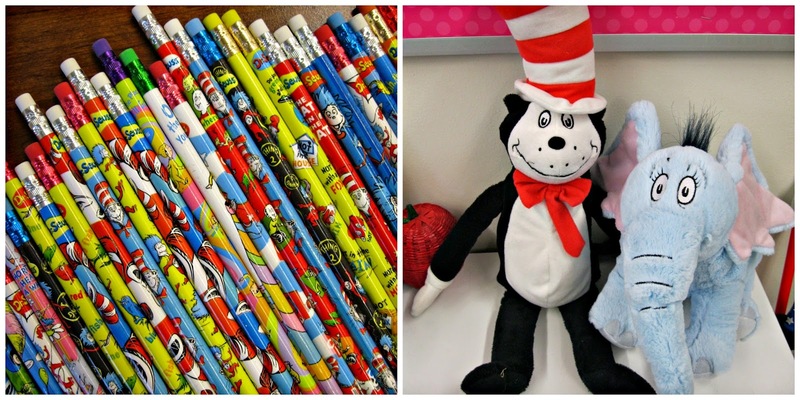 I used Dr. Seuss books to teach a variety of things. I used The Lorax, The Sneetches, and Green Eggs and Ham to teach central message/moral, Hop on Pop and Fox in Socks to examine a variety of word families, and the Horton books to examine story elements. We collected our thoughts on the chart below. This chart idea can be found here. 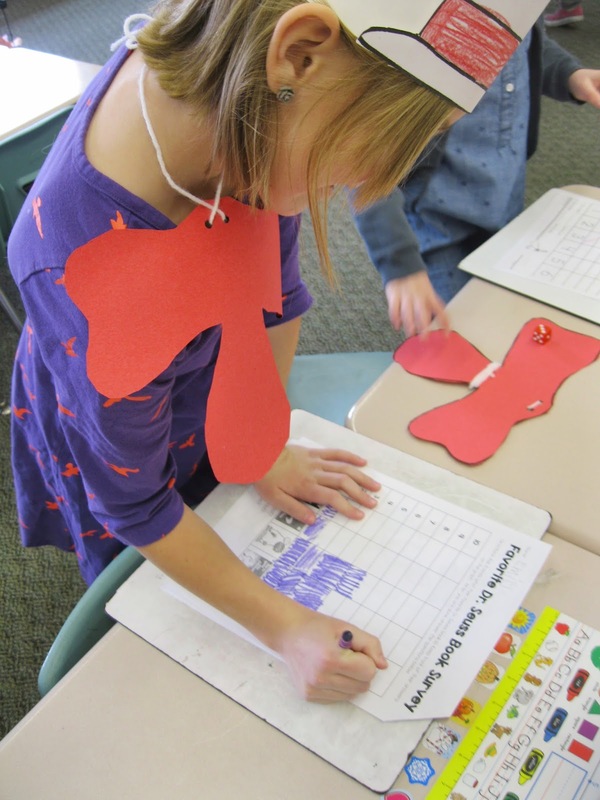 We've been working on double-digit addition recently and I decided it might be useful to tie in our Seuss-theme to amp up the engagement in our double-digit addition studies. 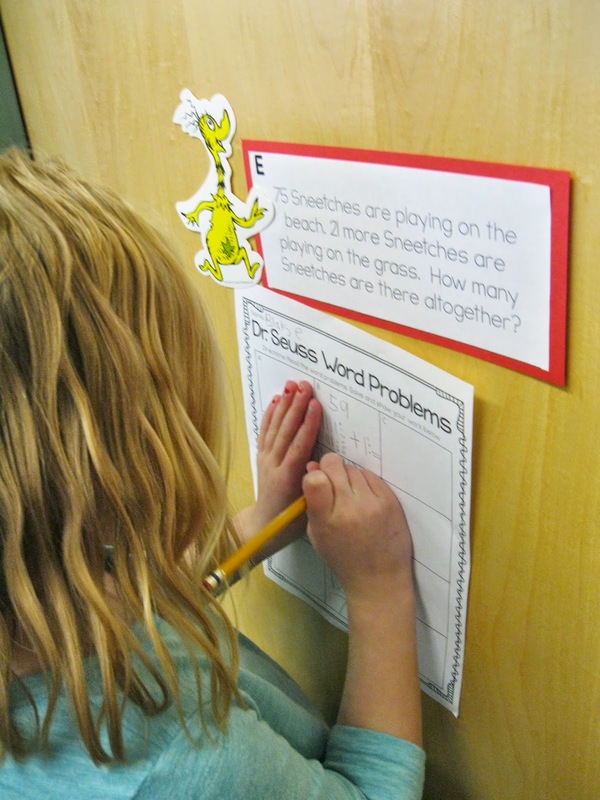 I created a math task that had students working in pairs around the room reading these Seuss-themed word problems and solving with a variety of tools. Simple, but effective...several exclaimed, "I love Dr. Seuss math!" 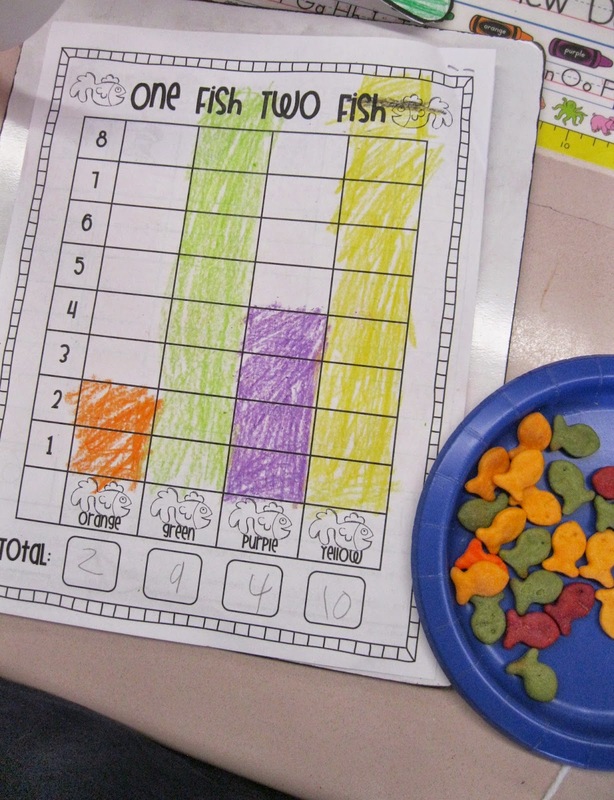 The next thing up on our math docket is measurement and data collection, so we did the crowd-pleasing one fish, two fish, red fish, blue fish graphing activity...maybe we should call that a snacktivity! I used the free graphing sheet found here. 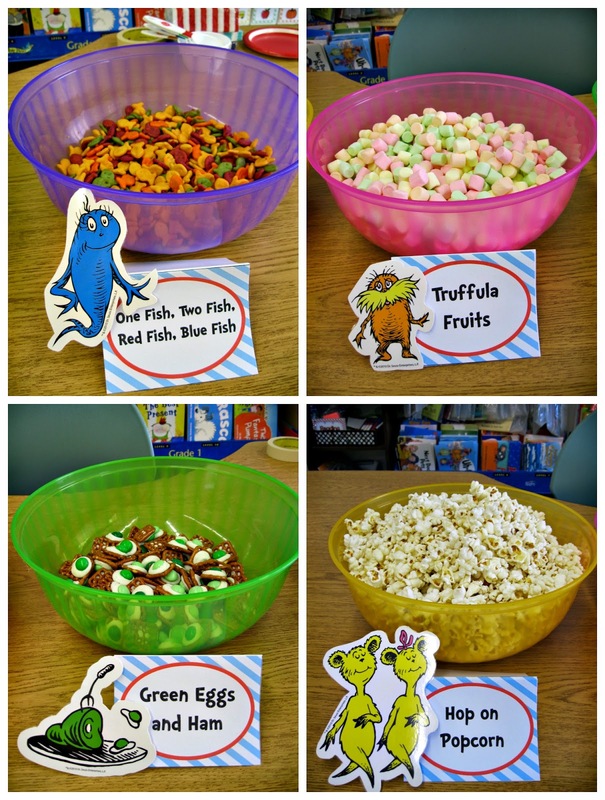 Throughout the week I tried to incorporate a little bit of Dr. Seussiness into my classroom management. I found these pencils in the dollar spot at Target and these cute plush toys a few years ago at Kohl's. 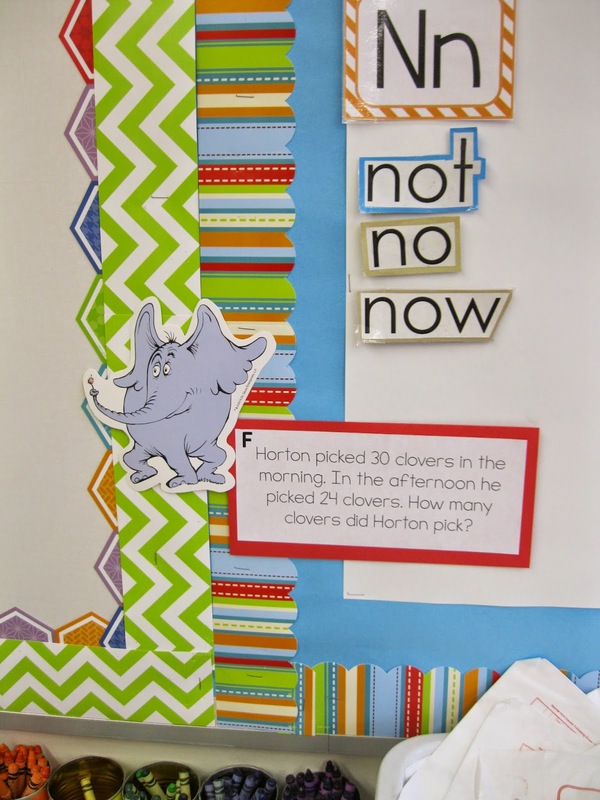 Using a Dr. Seuss pencil or holding The Cat or Horton on your lap for a short time was apparently very alluring...my students were good as gold! So good in fact that on Friday I got a bit carried away and I decided we would turn our annual read-a-thon into something of a reading party! I brought some fun snacks and my kids brought blankets, pillows, and all their favorite books from home! Thank you for reading! Don't forget to follow me on Facebook, Instagram, and Pinterest! I love your chart about the different Dr. Seuss books! Do you have a file with the math task cards? where did you get the food cards for each snack at ? Really cute. I'd like to know too! Wonderful, but direct draw link no longer works. :( Thank you. So neat. Where did you get the images for the snack cards?